I am an avid make up, fashion and beauty blog reader. Originally, before I contemplated starting a blog on chronic illness, I debated on focusing my energy into something similar to the above. However, there are thousands of amazing blogs already in that field that I felt I couldn't really compete with. It felt like a difficult task for myself to break into. One of my favourite blogpost's to read and YouTube video of choice to watch is other people's monthly favourites. You get to see individual personality, different opinions, new ideas and find some pretty good bargains too! So, when I was thinking of what more I could bring to my blog I felt like I needed to start bringing forward aspects of what makes me happy when my illness feels it consumes every part of me, things I find comfort in and things that have helped me through my month. Obviously, I will try to base the majority of items around what I find has been helpful in relation to chronic illness and chronic pain. However, I will also be sharing some other personal favourites that I've found interesting too. Disclaimer- All opinions are my own. This book was bought as a gift for me for my 20th birthday last year. I've been a fan of Demi for many years and knowing that she had been through hard times, I wanted to take a look at her words of wisdom. Demi Lovato has had her own fair share of things thrown at her in life from a very young age, so she has always seemed relatable in that sense. However when I received this book, I was in quite a bad place with depression and anxiety. The feeling had been there for many years and I was struggling to see any positive path in life. I would read the quotes in the book but they would never seem to stick in my mind or make any sense to me at that moment in time. It wasn't until very recently where I had been putting into practise rational thinking that I tried to read through the book again. I have been working on trying to get my head space into a more positive and present way of thinking. Demi's daily chosen quotes are adapted and broken down into everyday life. I went through the entire book with sticky notes writing how these quotes connected to aspects in my own life with chronic illness. I like that Demi admits the feeling of struggle and welcomes the feeling of growth. It is something that I have taken inspiration from and continue to to try and adapt into my own life. By chance I happened to start watching this show one sleepless, insomnia ridden evening and now I am hooked! 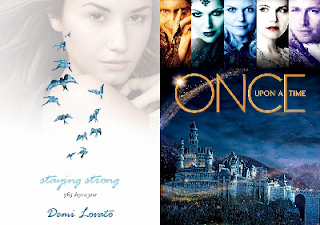 Based upon classic fairy tale characters who find themselves transported to the real world with no idea who they were in their past, the story unfolds and is gripping. fan. I'm three seasons in now and have found its a great show that has been keeping my Disney World withdrawal symptoms at bay. This has been my must have illness item since I was 15. Usually, its for people who are pregnant. However, when my mum told me to try this a few years ago I was slightly confused, I thought there was no way it would be suitable to my situation. Recently, after many years, I realised just how lost I become when I am without this pillow. On a two week holiday, my sleep was even worse than at home. I was waking up with more neck and back pain, more dislocations and I couldn't get comfortable at all in the bed. I couldn't wait to return home to my own bed and my beloved V pillow. Even though it's awfully hard to sleep with chronic pain, at least you can get semi comfortable in you're own bed with your own comforts. This pillow is so soft and wraps around the shape of your body. I highly suggest anyone with Ehlers Danlos, back problems or nerve issues to try a pillow of this kind. It is worth the money to search for a long lasting, good quality V pillow. Grandma problems indeed! Something so simple has nearly reduced me and my EDS body to tears of joy. If you follow me on twitter, you would've seen my tweet praising the Lord (and my handy dad) for my new bath that has been installed. Being a POTS patient, you don't know how life changing this is, it beats standing in a shower 365 days of the year and collapsing daily, put it that way. I was draining myself of limited energy standing in the shower every day, then fainting from my blood pressure and heart rate dropping, everyone with pots knows the drill of the dreaded shower. I can now soak my joints and muscles as well as not worrying as much about fainting in the shower. I am so grateful for this bath and to my dad for his hard work. This has saved me an extra pots episode a day. I recently ordered a new post-partum stomach splint. I've been a fan of these for over a year now and have heard that some EDS specialist physiotherapist's have recommended these to their patients. One of my main issues within EDS is my internal organ problems. The constantly shift position, drop, swell, move and are highly uncomfortable on a daily basis. I usually walk around with a pillow surgically attached to me stomach for some comfort. I ordered a pack of three from amazon, which arrived promptly. They really are such good quality, the best quality I've had and I've tried a lot. They keep position, don't shift up throughout the day and keep their stretch as well as shape. 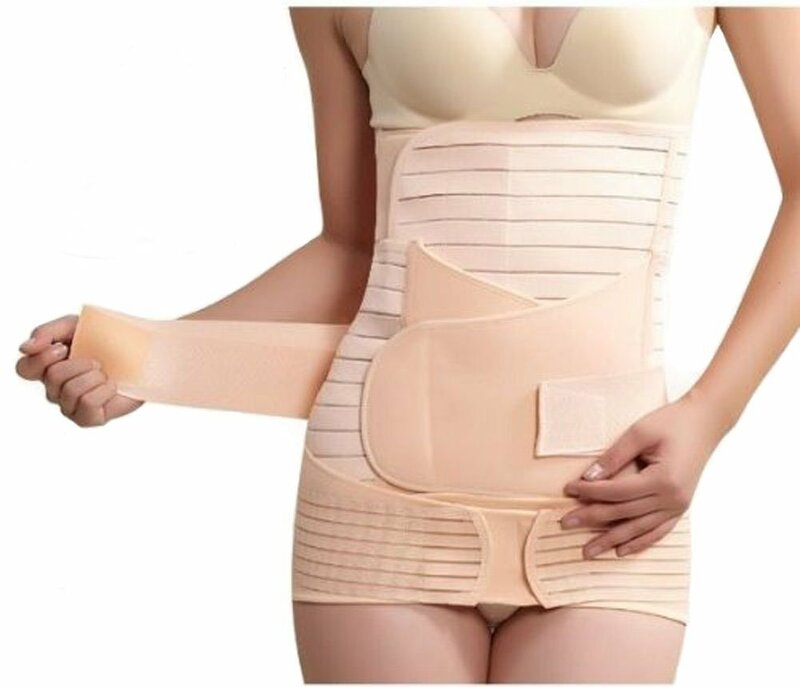 There is a splint for the bottom part of your stomach, a larger splint for the majority of the stomach (up to just under your ribs) and finally one for around your hips. It doesn't help with the pain inside the stomach, that is obviously still very painful, however this belt makes the organs feel more compact, as a normal body should feel. I feel like this keeps my organs slightly more supported and slows the digestion process down abit more appropriately, in the sense that I don't feel the organs move as much or the food and drink sitting too heavily in my gut when wearing this. These supports can also correct your posture, which is helpful when you are prone to dislocate and sublux. Hope you enjoyed the first of this new monthly instalment on my blog.